Site prep has begun. 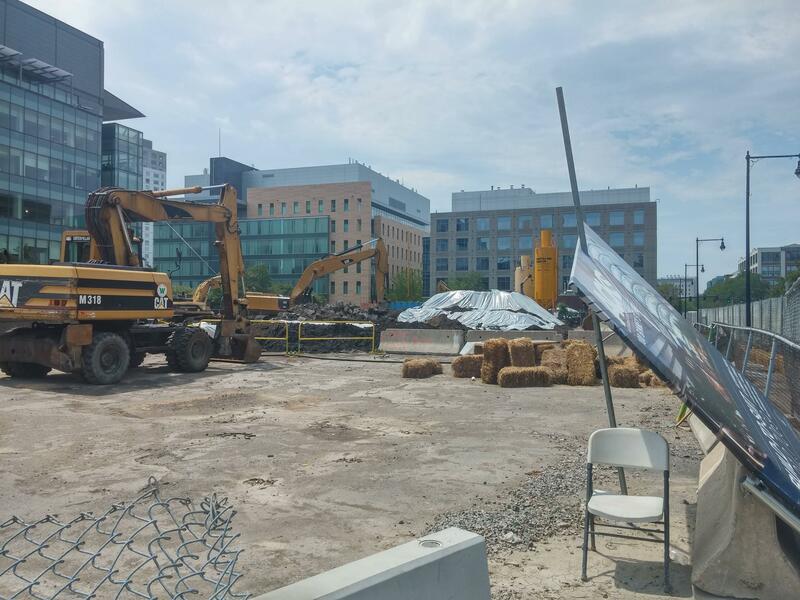 Trees removed, fences going up, and small earth mover on site. This will be a 10 story building with 401,516 RSF. Some renderings from my files. If anyone has more resent renderings please feel free to add. Yet another Elkus lump...bloated, awkward, and a schizophrenic mess of materials/finishes poorly attempting to reduce the mass. While the facility itself will be a great addition to Kendall it looks like the misshapen spawn of the even more atrocious 75 Ames. I'd much rather rather have a simple rectangular volume of sleek glass. This tries way too hard. I love 75 Ames except for the all white side. 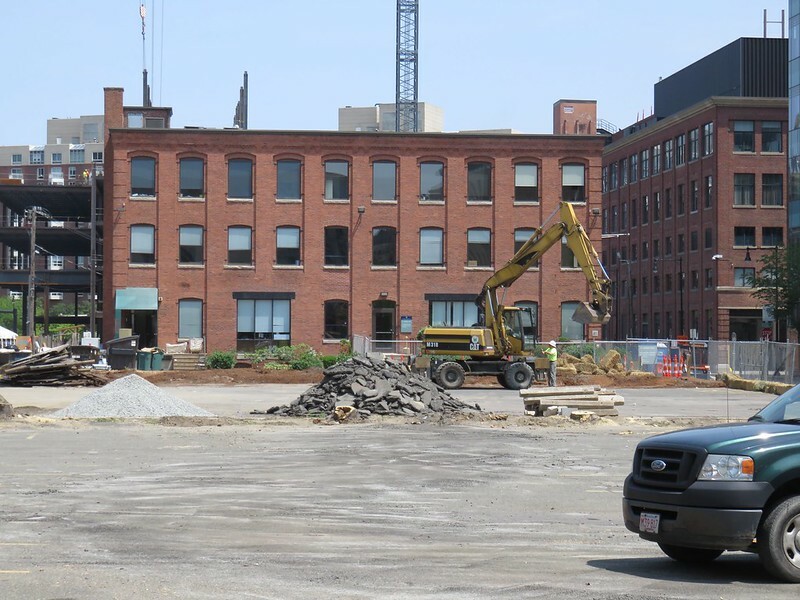 All these labs on Binney St look like they are going to be awesome additions for Kendall. I'm so bored with this style. I liked it the first 5 or 6 times this was done in Boston/Cambridge. But it's time to get a new cookie cutter. Lots of better images of all the sites on the website. It's a pretty solid effort. Also, I know it's fun to bash Elkus all the time on here, as they are the latest whipping boy it seems. But, the building is indicated as being designed by SGA. So, at least properly direct your criticism. ^ Elkus listed as the architect. So, yes, as long as Elkus continues to deliver this kind of phoned-in, uninspired boilerplate they should get the whip. The building is treating Linskey Way as a service alley. The loading dock and garage ramp are going to deaden the facade facing the skating rink. Tenant signed up. Bristol Meyers Squibb. 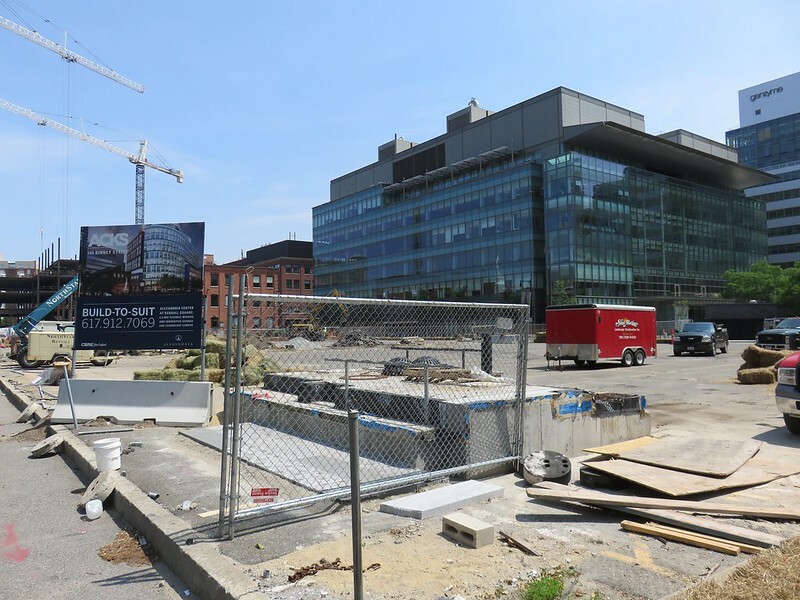 The Cambridge news “continues a very good trend for Massachusetts, where major global biopharma companies are making significant investments in their growth here,” said Angus McQuilken, spokesman for the Massachusetts Life Sciences Center. The world’s top 10 biopharma companies — based on prescription pharmaceutical sales — and 15 of the top 20 now have a presence here, he added. The New York company will ask the 100 employees at its Waltham R&D site, which will close in 2018, to relocate to Cambridge, along with 200 from its Wallingford, Conn., R&D site and a limited number from its New Jersey locations. 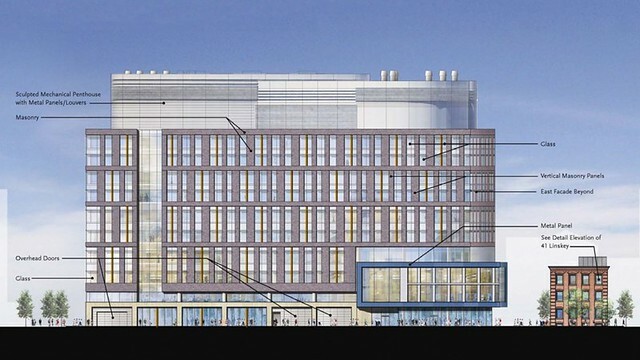 It also plans to hire an unspecified number of local scientists to work at the facility, where the focus will be ongoing discovery efforts in genetically defined diseases, molecular discovery technologies and discovery platform chemistry. 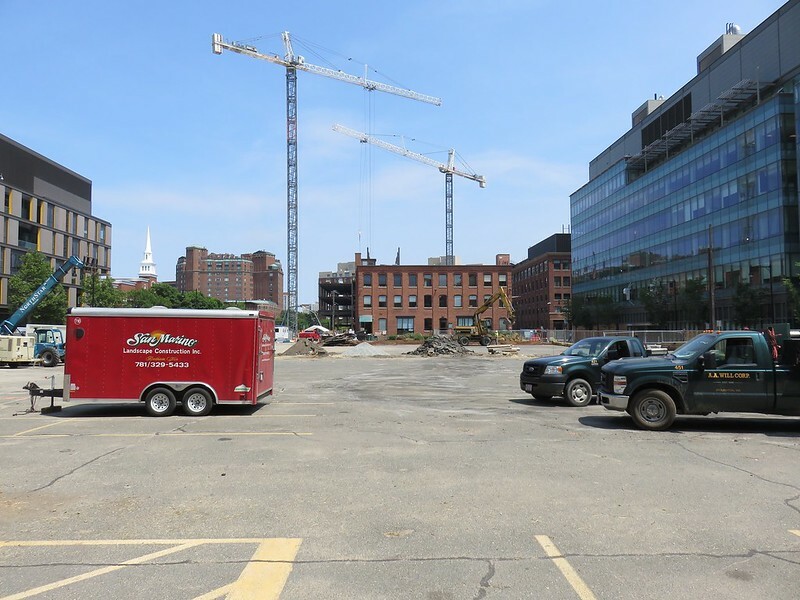 Bristol-Myers declined to say how much space it will occupy in the approximately 400,000-square-foot Cambridge building at 100 Binney St., expected to open in 2018, until it signs a lease with landlord Alexandria Real Estate Equities. 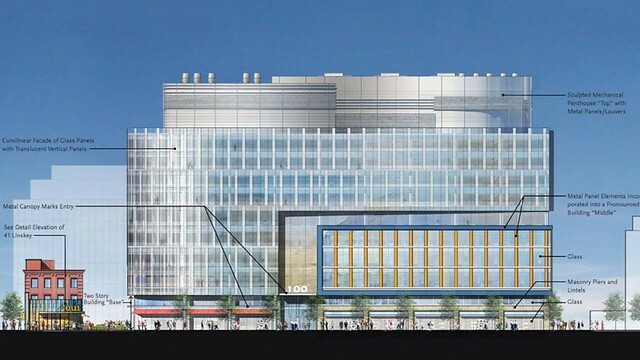 The new location helps position Bristol-Myers “in the heart of vibrant ecosystems of world-class science, innovation and business opportunities, which offer ideal environments for fostering external collaboration,” chief scientific officer Francis Cuss said. Sweet baby Jesus I am so bored of this type of design. It's like when people go into a tattoo parlor and just pick one out from the $25 book. Looks like Elkus is battling an addiction with wavy MEP screens at the moment. Is this really that bad though? I haven't been to Cambridge or Boston in a while but i cant think of any building layed out like this off the top of my head. Curved glass, broken up a little with some color thrown in... and it looks like retail space, I'm not sure? 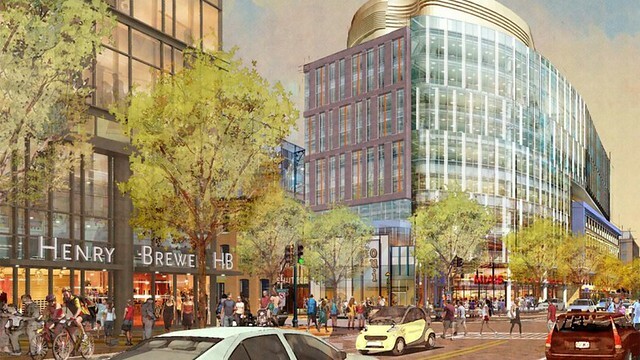 I'm just going to skip the inevitable ArchBoston year of whining and complaining about a fine building before its built and go ahead and say it, this looks like a fully appropriate development. It looks better than the buildings around it and bridges the gap between Kendall and the Galleria. The way the vertical white panels stagger every 2 floors is a nice touch. I like it. 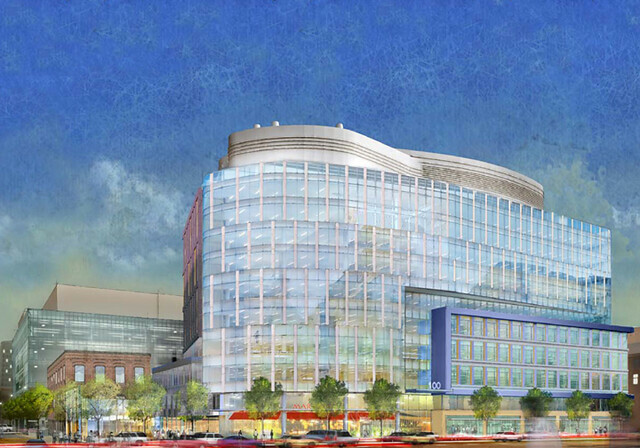 As depicted, the rendering of the north elevation will only be seen in real life if you cut a really big hole in the building opposite. 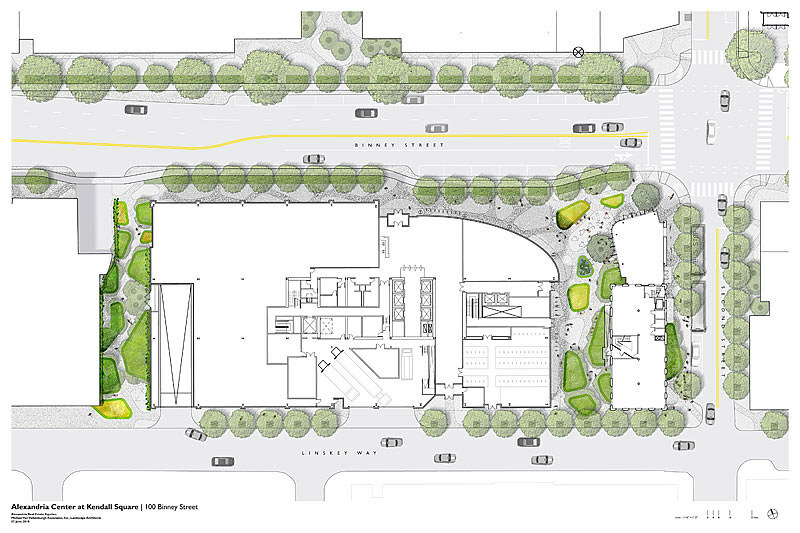 Even Gehry's building has become lost because of what was built around it. For better or worse, the perspectives of Simmons Hall remain, ----only because MIT's playing fields front it. Also, the 2015 update is 14 inches taller than the 2010 plan.